Eretria is one of the cities that created the grandeur of ancient Greece. People first settled on its territory in the 3rd millenium BC and lived there without interruption until the 6th century AD. Important remains testify to this long period of occupation: the Theater, the Sanctuary of Apollo, several other temples and sanctuaries, the Gymnasium, residential areas, a few major works of art (sculptures, vases), numerous inscriptions on stone, and coins. Following its abandonment in the Early Christian era, Eretria was only reoccupied at the beginning of the 19th century. The exploration of the site began some 125 years ago. The Swiss School of Archaeology in Greece has been active on the site since 1964. 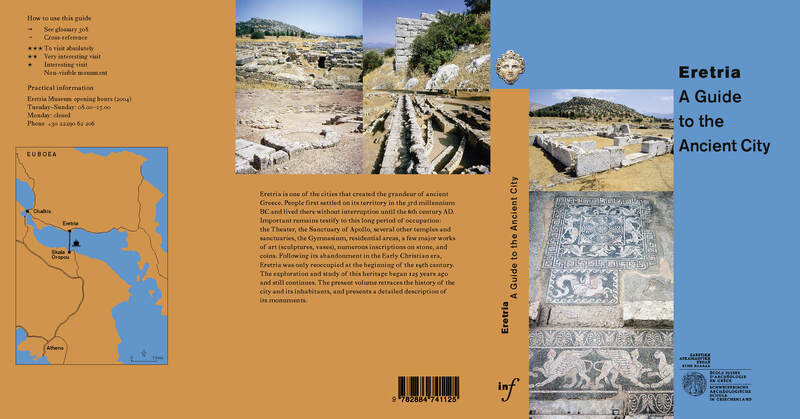 The School is publishing a Guide to the Ancient City. This book, richly illustrated, retraces the history of the city and presents a detailed description of its monuments. Original edition in French. Greek and English translations.